New canvas can often exhibit weeping seams, particularly seams of tensioned, horizontal components such as biminis and dodger tops. This is due to the fabrication process. 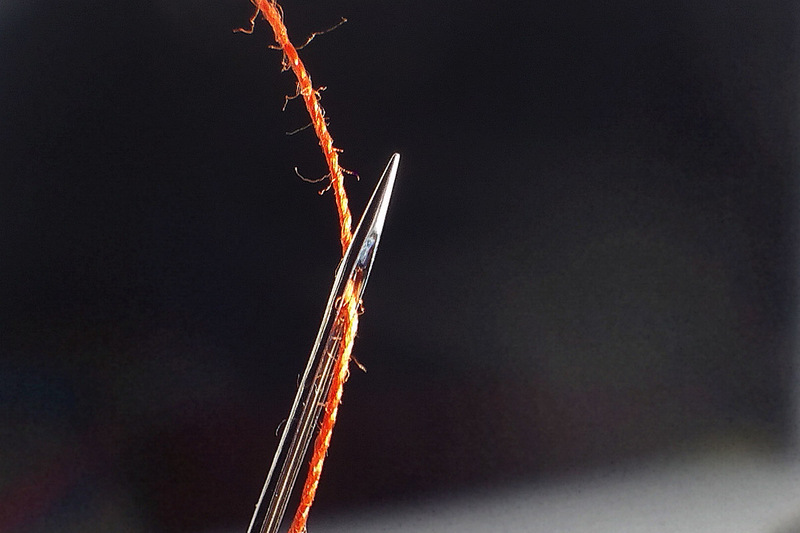 The needle and thread together are inherently larger than the thread is by itself, and stretch a hole that the thread cannot plug by itself. Often the holes will work themselves snug around the thread over the course of several months, or the holes will naturally start to clog with soil. This phenomenon has been exacerbated by the implementation of PTFE thread. Compared to the traditional bonded polyester thread, PTFE thread is very “slippery” and does not wick water. Thus, instead of getting drawn up into the thread, water has a tendency to flow through and drip off of the thread. Tent seam sealer is available at most sporting goods stores. It should be applied to the inside of the seams, following the product directions. Clear satin acrylic spray paint can be applied to the inside of the seams, with very minimal visual impact. Apply two or three light coats, and allow to dry thoroughly between coats. This is safe for the canvas, as the canvas is also 100% acrylic.